Yesterday I showed a chart detailing how the counties of Ireland differ in the number of people resident in each county who hold a Ph.D. by percentage. Today I want to compare the gender balance/imbalance in each county. 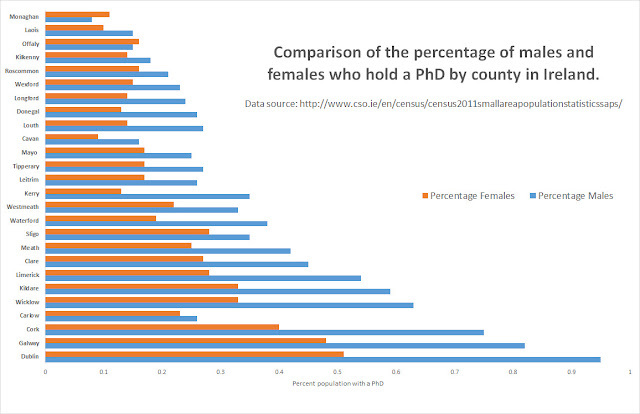 In many counties you can see quite considerable gaps between the percentage of males and females with a Ph.D. 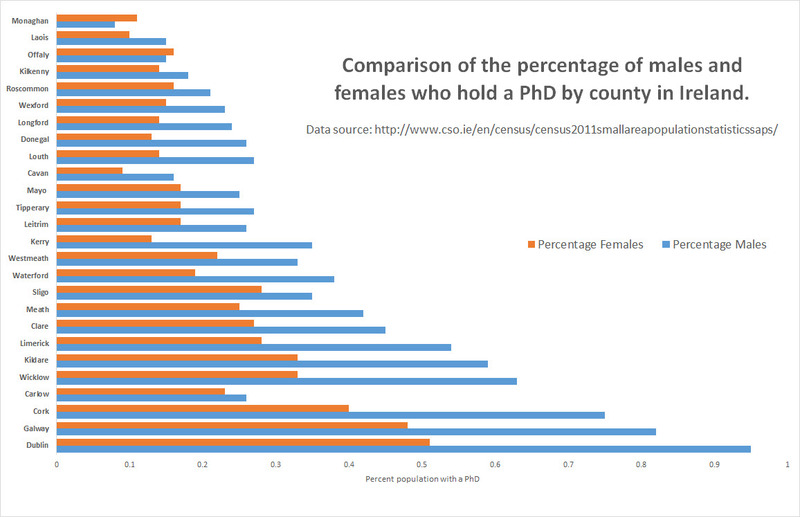 In only two counties in Ireland does the number of females with a Ph.D. outnumber males - Monaghan and Offaly. In all other counties - there are more males, this is most pronounced in Dublin where 0.95% of males have a Ph.D., and 0.51% females have one. Incredibly (to me) almost one percent of the adult male population in Dublin holds a Ph.D. 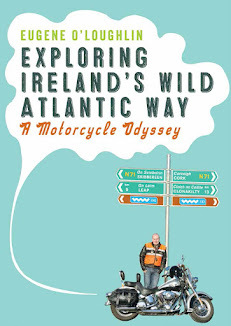 The actual numbers are 4,147 out of 440,432 adult males living in Dublin in 2011. I would never have guessed this figure. Compare this with Monaghan where just 0.08% of adult males have a Ph.D. (17 out of 20,717 males). It will be interesting to compare these figures with the 2016 census when they are released. Note on chart. While I found it easy to plot separate male and female bar charts in R, I could not plot both on the same chart (called a clustered barchart) using barplot function. So it was easier to do in Excel.